After sometimes heated debates, it seems that the theory of a meteorite impacting on Earth, probably above Canada, at the beginnings of the Younger Dryas and probably related to megafauna extinctions seems to be gaining more and more weight. Firestone et al. sampled sedimentary sequences at many sites across North America, Europe, and Asia [Firestone RB, et al. (2007) Proc Natl Acad Sci USA 106:16016–16021]. In sediments dated to the Younger Dryas onset or Boundary (YDB) approximately 12,900 calendar years ago, Firestone et al. reported discovery of markers, including nanodiamonds, aciniform soot, high-temperature melt-glass, and magnetic microspherules attributed to cosmic impacts/airbursts. The microspherules were explained as either cosmic material ablation or terrestrial ejecta from a hypothesized North American impact that initiated the abrupt Younger Dryas cooling, contributed to megafaunal extinctions, and triggered human cultural shifts and population declines. A number of independent groups have confirmed the presence of YDB spherules, but two have not. One of them [Surovell TA, et al. (2009) Proc Natl Acad Sci USA 104:18155–18158] collected and analyzed samples from seven YDB sites, purportedly using the same protocol as Firestone et al., but did not find a single spherule in YDB sediments at two previously reported sites. To examine this discrepancy, we conducted an independent blind investigation of two sites common to both studies, and a third site investigated only by Surovell et al. We found abundant YDB microspherules at all three widely separated sites consistent with the results of Firestone et al. and conclude that the analytical protocol employed by Surovell et al. deviated significantly from that of Firestone et al. Morphological and geochemical analyses of YDB spherules suggest they are not cosmic, volcanic, authigenic, or anthropogenic in origin. Instead, they appear to have formed from abrupt melting and quenching of terrestrial materials. 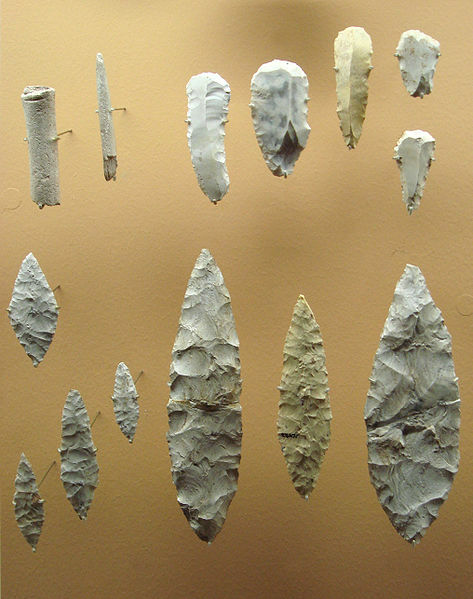 Most interesting in this research is that it was done directly at an archaeological layer of the Clovis clulture, what makes the chronology very solid. Also the authors claim that some of the negative reports did not follow the protocol to detect the spherules and that is why they missed them, stirring controversy. 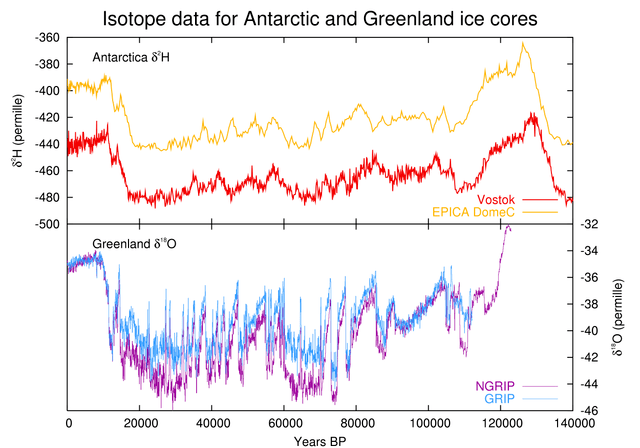 Some 12,800 years ago, when the climate was warming very fast and temperatures had almost reached present day levels… they suddenly plumetted again in a matter of months and remained at Ice Age levels for more than a thousand years before warming again. That period is known as the Younger Dryas. There used to be several explanations but since some time ago, the meteorite impact theory has been gaining weight. This evidence would seem to consolidate it. It was already quite consolidated as a theory because, while some had questioned the earliest evidence, further data had been collected from around the world that reinforced the model by about the same time. The new evidence comes in form of melted glass (siliceous scoria like objects, SLOs) mineral inclusions from Pennsylvania (USA), which appears to require such an impact to have been produced. This kind of product requires temperatures similar to those of a nuclear explosion. 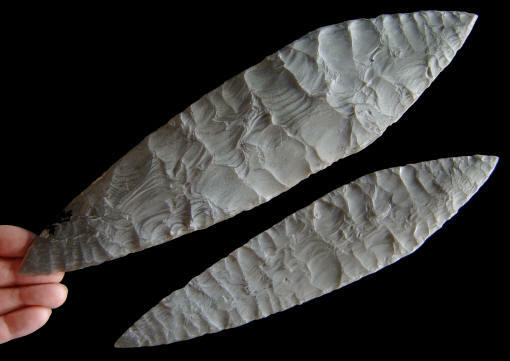 These remains have been found so far in North and South America, Europe and West Asia, suggesting several impacts from an already fragmented meteorite. It is unclear if there could be more such findings elsewhere on Earth. One of the places directly affected by the impact was the site of Abu Hureyra, at the Mid-Upper Euphrates (Syria), where a layer of ashes followed by an archaeological hiatus mark the boundary between an Epipaleolithic and the more important Neolithic settlement. The impact and the subsequent sudden cooling probably was a major influence in the extinction of some subarctic megafauna in North America and Northern Eurasia such as the mammoths. That is what seems to be all that noise in the end, reports John Hawks following Miller-McCune. It is a long story but essentially there seem to be a key person who deceived them all, including his colleagues: someone by the name of Allen West, formerly Allen Whitt, a former convict for pretending to be a geologist and scamming municipal authorities out of that. After getting out on probation he began working on the comet theory and changed his name legally. Then somehow he managed to be part of both teams that have published anything defending the Clovis impact theory (mentioned by me here and here). In the second case I thought it was a different team working in a different part of the World. And it was indeed but one person at least was part of both teams: Allen West. His carbon spherules, sometimes called nanodiamonds, appear to be just graphite and not older than 200 years old. From Science Daily. None too interesting to write a whole post, in my humble opinion but interesting enough to mention.